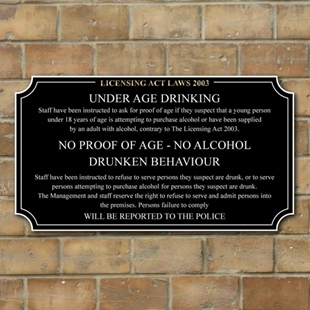 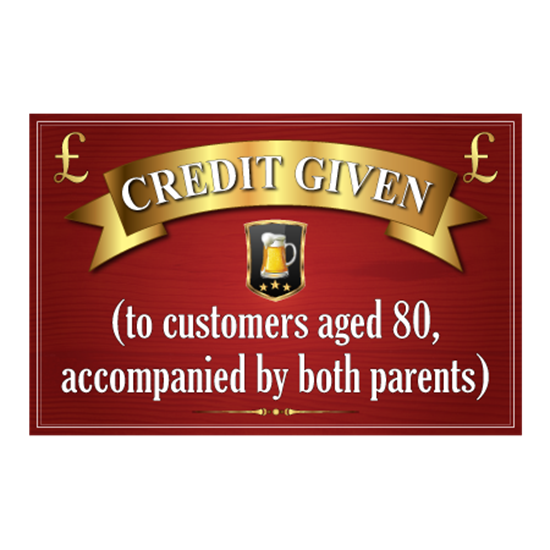 SP-00087 - "Credit Given... to customers aged over 80..." - Ideal joke sign for a pub bar or home bar. 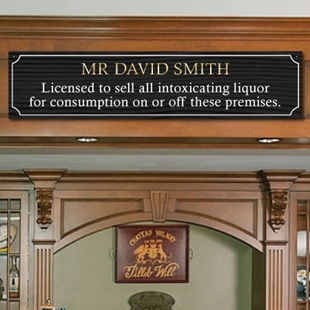 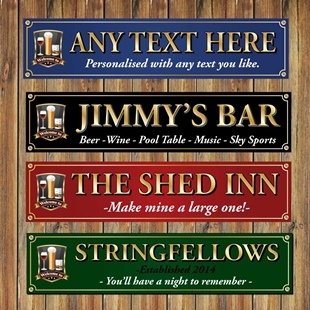 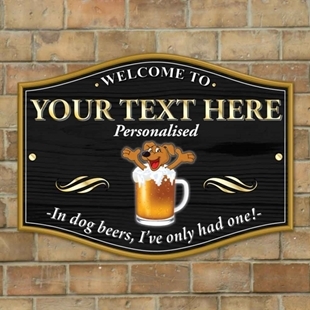 The sign is printed in the style of a traditional English pub sign painted with a deep red background. 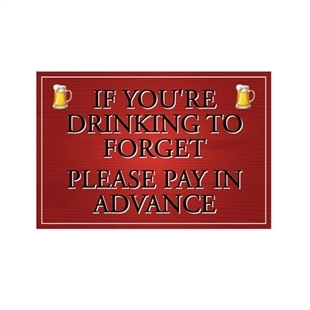 SP-00099 - Novelty Joke Pub Drinking Sign.